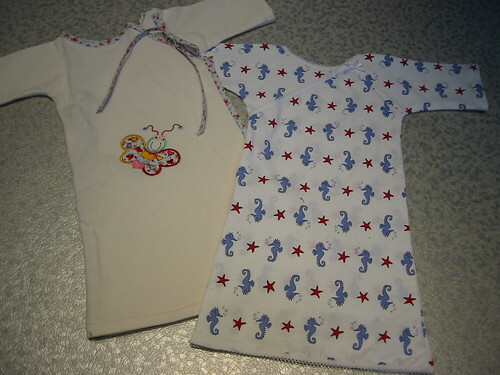 More baby gowns, originally uploaded by indiaeden. More new baby gifts. The kimono on the left is the same style as the last one. The one on the right is made with a knit fabric,has a mock wrap front and stretchy picot trimmed neckline.